Home » Sandeep Kaur, the daughter of Auto-driver, rides high on gold. 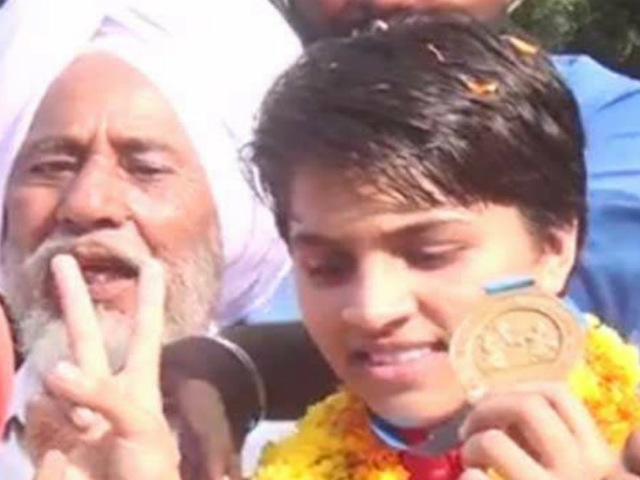 CHANDIGARH: While Sardar Jasvir Singh was busy charging pennies for taking a ride in his auto, his daughter Sandeep Kaur was all set to fly back to her father with a gold in the 52 kg weight category at the 13th International Silesian Boxing Championships. The teenage boxer made sure that the tricolor was flying high in Poland when she knocked out her opponent, Poland’s Karolina Ampuska, by a 5-0 margin in the summit clash. Success was meant to touch Sandeep’s feet after the struggle that went to convince her parents who were being misguided by the fellow villagers telling them to put a stop on Sandeep’s sport and to deal with the financial crunches. But when darkness prevail, the moon emerges to share a light of hope in the darkness. For Sandeep, it was her father, Sardar Jasvir Singh, who didn’t gave up on her, who drove auto to make the ends meet, but he made sure that Sandeep didn’t have to give up on boxing. Sandeep’s uncle, Simranjit Singh, who used to box at a village academy, inspired her to take up boxing. At the age of 8, her interest towards boxing grew up and she put up her boxing gloves and then began her training under coach Sushil Kumar at the academy.